Which makes the reward potential about as exciting as "winning" a class action lawsuit. 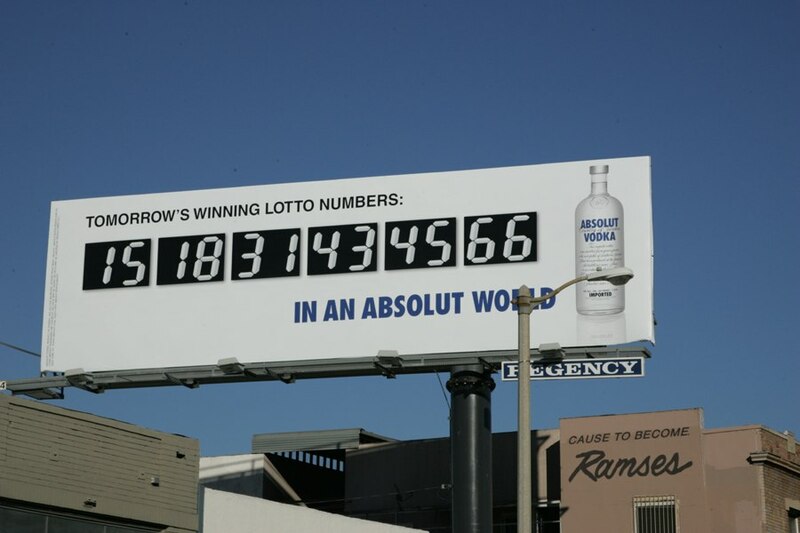 This outdoor campaign for ABSOLUT vodka is running in New York and LA. As always, the idea is to tout the superiority of a world where ABSOLUT is boss. Case in point: getting tomorrow's lotto numbers instead of yesterday's. Yeah, that would be cool. If you were, like, the only person awake in Times Square that morning. Creative by TBWA\Chiat\Day out of NYC.